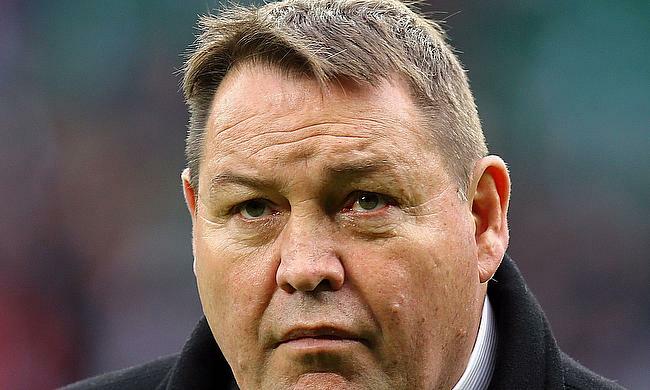 New Zealand coach Steve Hansen said he was proud of All Blacks' performance in the end of the year tour despite a defeat to Ireland in Dublin. The world champions, who headed into the tournament after claiming the Rugby Championship title that followed with victories over Wallabies in Yokohama and Japan in Tokyo were challenged by England in the opening game of their European tour where New Zealand sneaked a 15-16 win at Twickenham Stadium. Even though they managed to get away against Eddie Jones' side, Ireland repeated their Chicago success against the All Blacks to register a 16-9 win at Aviva Stadium leading to debates on a decline in All Blacks' dominance but they bounced back with a 10-try performance in the final game to beat Italy 3-66. “I’m really proud of the boys. It’s been a tough end of year tour, we’ve played some difficult opposition, we didn’t get the result we wanted in Dublin but bounced back and put a performance in that not only they could be proud of but the management and the whole of New Zealand can be proud of,” Hansen told Sky Sports. “Jordie Barrett scored four tries on the wing, one of them was a real beauty on the far side, a kick from his brother. Earlier during the Rugby Championship, the All Blacks were also pushed hard by South Africa, who came close to beat Hansen's side for the second time after defeating them earlier. However, the New Zealand head coach played down any concerns of a difficult or challenging year for the side and insisted that the team will continue to build for their World Cup title defence next year in Japan. “I don’t like losing them either so I don’t think that makes it a difficult year what it does mean is that more people are talking about it, they want us to win and we do too,” he said.